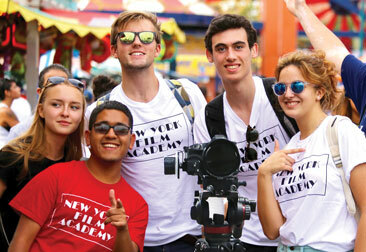 Explore a city unlike any other when you enroll in a NYFA Summer Camp in New York City. Students in our NYC Summer Camps not only get the one-of-a-kind opportunity to work against the backdrop of this global city, but are also guided around the city’s many attractions, from the Statue of Liberty to SoHo, from Broadway to the Bowery. 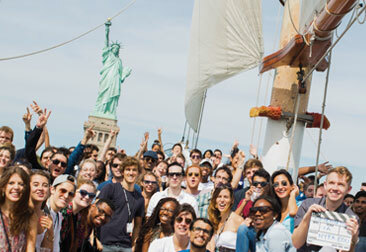 Part of what makes New York a city like no other is that is made up of 10 million inhabitants that reflect every country and culture of the world, allowing students to be exposed to a countless number of new cultures, increasing their cultural understanding while studying their chosen craft in a city unlike no other. In addition to studying amongst the historical background of the city, students also get the opportunity to explore this city of countless landmarks and attractions in supervised trips. Through studying in New York City, students are exposed to an artistically and culturally rich environment that will serve as an inspiration and setting for their work that they will never forget.